This certainly rang true for me –not being up to the mark intellectually ran the show well into my 30s, regardless of what people said to the contrary. This often leads to dictatorial and defensive managerial behaviours, which is an example of what Prof Carol Dweck calls a fixed mindset, where we believe that who we are is an immutable truth. Liz Wiseman, a former Oracle executive, calls these types of managers diminishers. Diminishers blame others for failure whilst attributing successes to their own talent. In biological terms, who we are is represented by a network of 86 billion neurons in our brain. These neuronal connections are who we are – or more correctly, who we have created ourselves to be through a lifetime’s experiences. Thanks to fMRI imaging and neuroscience research, we now know that the brain is plastic and we can create new neuronal patterns and quite literally re-structure our brain. We are not prisoners of those early decisions we made about who we are. Neuroplasticity lays the foundations for what Dweck terms a growth mindset – the recognition that we are all able to grow and change substantially, acquiring new skills and thinking patterns as we go through life. We can throw off the shackles of past limiting beliefs and create new futures for ourselves… to be more like Richard Branson, or any other role model we aspire to. Limiting beliefs typically take the form of “I don’t have a musical bone in my body”, “I’m not the creative type”, “I’m no good at sales”. Or even more pernicious, “I’m not a very nice person.” Self-awareness of strengths and limitations is healthy; however when we let this impede our growth, ambitions and self-image, it becomes toxic. Self-awareness of strengths and limitations is healthy; however when we let this impede our growth, ambitions and self-image, it becomes toxic. Limiting beliefs of course seem very real. But their only reality is that of neuronal patterns (or mental events) generated by our brain. 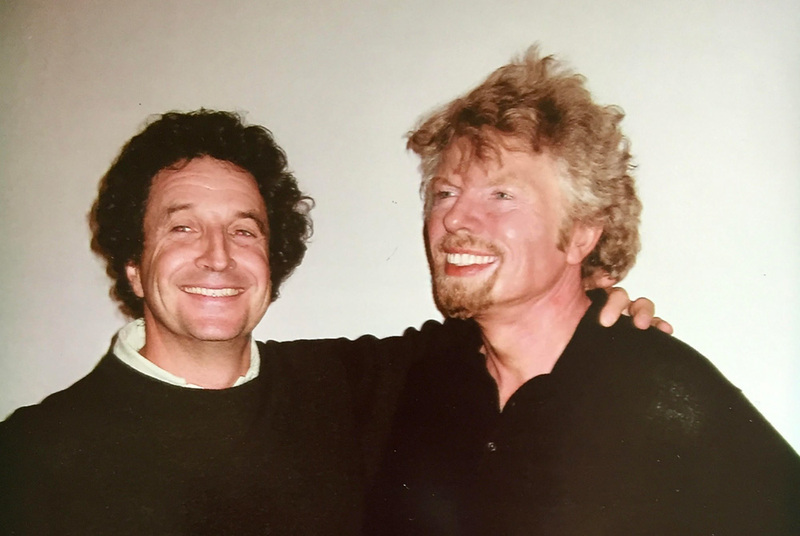 They have no more validity than this old picture of me with Richard Branson. It appears real, but I am actually posing with Richard’s wax doppelganger at Madame Tussauds! What limiting beliefs do you have about yourself and those around you?